Madrid, 11 September 2018 – NEINVER, a European property investment, development and management company specialised in outlet centres, has started renovation of the Italian centre Vicolungo The Style Outlets, owned by Neptune, a joint venture between NEINVER and TH Real Estate. This refurbishment project, which entails an investment of over €9 million, started in August and is expected to be completed in spring 2019. Works have started and are expected to be completed by spring 2019. The restyling is led by the prestigious international architecture studio Chapman Taylor, and includes the renovation of the main square, the canopies and the street furniture, among others. 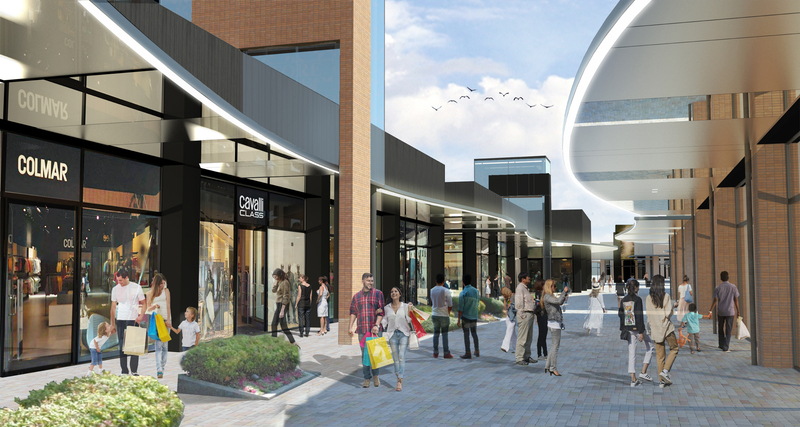 This project reflects NEINVER’s strategy of providing the outlet centres with the best environments and enhanced services to complement their outstanding commercial offer, and to ensure a unique shopping experience to its visitors. Vicolungo The Style Outlets is one of the 16 outlet centres managed by NEINVER in Europe and the first that NEINVER developed and managed in Italy. Since its opening in July 2004, it was expanded twice and remodelled to evolve over the years according to its growing success. Currently, Vicolungo The Style Outlets welcomes 4 million shoppers every year who visit 150 boutiques of major international brands in over 34,000 m² of retail space.